A linguaphile is a person who loves languages. While everyone may not be a linguaphile, there's no doubt that learning a new language can be both fun and important. Many Dallas International School families and faculty have aspirations of learning a new language, whether it be for better communication with a foreign-born spouse, a life-long interest in another language or culture, or simply witnessing the progress of their children’s language learning in school. 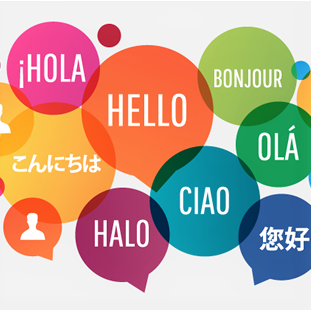 These reasons are why the Language Institute opens its doors to anyone wishing to start their language learning journey. While one’s reason for taking this journey may vary, there’s no denying the benefits a bi- or multi-lingual life can provide. If you, too, have an urge to adopt the DIS language-loving philosophy, the Language Institute will begin its 2019 Winter-Spring session of classes the week of January 14, 2019. Children and adult classes are available at a wide range of times, from morning, evening and weekend classes, and in a multitude of languages, including Spanish, French, Mandarin, Arabic and German. These classes are offered at different levels, including beginner, intermediate and advanced, and in small class sizes where students are able to learn at their own pace and interaction is encouraged. Private classes are also available upon request. Click here for more info.